Inaugurations are an opportunity for family, friends and colleagues to gather and celebrate not only a university's history, but also fresh starts and new visions. It is also a time to showcase the important connection a university has with its community. 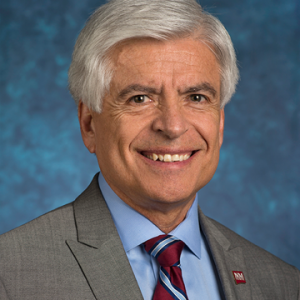 Join us in a celebration of NMSU's newest chapter under the leadership of Chancellor Dan E. Arvizu and President John D. Floros. Faculty are invited to participate in the Inauguration ceremony processional, joining delegates from institutions around the country in their academic regalia. See the schedule of events for institutional delegates, including information on robing and the pre-ceremony processional where delegates will march in order of the founding date of their institution. Dr. Arvizu has had a long distinguished career in advanced energy research and development, materials and process sciences, and technology commercialization and became Chancellor on June 1, 2018. 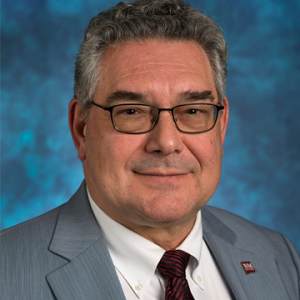 Renowned food scientist and academic leader John Floros became President of New Mexico State University on July 1, 2018. As a collective community of innovators – NMSU faculty, staff and students are always on the move, constantly evolving. We are bold in our thinking and in our work. We are fearless. Barriers do not discourage us. Even the greatest challenges do not deter us. We move forward, breaking new ground in the classroom, in the laboratory and out in the community. We take knowledge and turn it into action; we aspire to change our region and the world. Together, we shape the course of our own success.